The Riigikogu deliberated an expression of no confidence in the Minister of Economic Affairs and Communications Juhan Parts, initiated by 45 members of the Riigikogu today. The expression of no confidence was not supported. At least 51 votes were needed. The result of voting: 44 votes in favour, 50 against. In the expression of no confidence, the members of the opposition focused on two problems which in their opinion directly affect the availability and price of electricity for the Estonian consumer in short-term as well as long-term perspective. In a short-term perspective, one problem is the expected price rise due to the opening of the electricity market which to a certain extent is inevitable, but the European Union allows and recommends using measures to mitigate it for especially sensitive social groups, and our Government has failed to use these. The people who are in danger of falling into energy poverty have been recommended to apply for social assistance from the state through the subsistence benefit instead. Another factor, affecting the energy market, the availability of energy and the electricity price in a longer term perspective, is the allegedly personal decision of the Minister to hustle through a nearly billion-kroon investment for the construction of new oil shale boilers in Narva. It had been done in a manner which, in the opinion of the National Audit Office and the parliament’s opposition, leaves many unanswered questions in the air concerning the economic efficiency thereof. Besides, on the basis of confidential Government memorandums which have become public, it may not be in conformity with a number of Acts which are in force in Estonia. According to Parts’s explanations, on 15 June 2009, the Riigikogu had approved the energy sector development plan which unambiguously provides the establishment of not one but two new oil shale blocks by 2015, and the granting of state aid therefor. He underlined that this decision had been adopted by consensus, 80 members of the Riigikogu had voted in favour, including the factions who were now applying for the expression of no confidence. There had been no votes against. 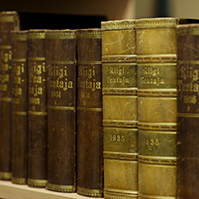 The Riigikogu had had the same consensus when on 28 January 2010 it had voted in favour of the Bill providing for the support for the oil shale power plant. 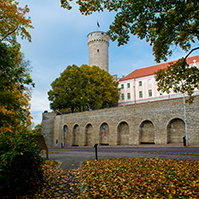 Parts noted that the granting of state aid for the investment in the power plant had eventually been resolved differently than the Act passed by the Riigikogu had provided. “Under the Act, the investment into this power plant would have received financial support from the charge collected from consumers. With the permission of the European Commission, the investment into the power plant is supported by allocation of CO2 quotas instead, and there is no need to ask money for that from consumers,” Parts stressed. He added that, as it had been in the time when these decisions had been made, it is clear also today that new electricity production capacities are needed to ensure energy security of Estonia. 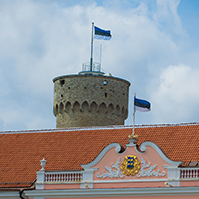 Estonia will have to maintain the capacity to produce electricity for covering its needs. It is too risky to depend on electricity imported from Russia or elsewhere in a situation where several of our neighbours are unable to cover their electricity needs themselves. In Parts’s words, there is no ground to doubt the legality of the carrying out of the procurement by Eesti Energia in the construction of the power plant. He added that no one had contested that procurement yet and there is no ground to state that it might be illegal, and the enterprise has reaffirmed this also today. Parts also touched upon the reproaches to the effect that the opening of the electricity market has not been prepared and consumers have not been informed sufficiently thereof. “According to the latest study, awareness of the opening of the electricity market has risen to 92%. The state will continue information activities in November and December. All consumers will receive for the second time a publication by the state concerning the opening of the market, an extensive advertising campaign will be held and special editions will be issued in the newspapers. An information phone and a website have been open since the summer already,” the Minister explained. When discussing the possible steps by the Government in order to lower the components of the final electricity price, Parts noted that, in the near future, the Government was going to submit a draft legislation concerning renewable energy charges. Upon the entry into force of the Act and in case this happened before 1 January 2013, the renewable energy charge component would be reduced by 20%. When we calculate the expected renewable energy charge in the final price of energy until 2020, then the consumer will gain 350 million euro as compared to the Act which is in force today. In Parts’s opinion, these are important steps in order to better protect the consumer. Urve Palo, Kadri Simson and Kaia Iva took the floor during the debate. 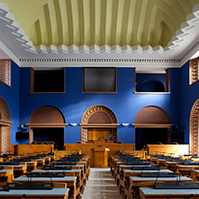 The Riigikogu passed with 59 votes in favour (18 votes against, one abstention) the Act on Amendments to § 90 of the Electronic Communications Act (243 SE), initiated by the Economic Affairs Committee, according to which providers of free-access television services have the right to request a fee for retransmission of television programmes from communications undertakings providing cable distribution services. The drafting of the Act had been necessitated by the statements by providers of television services (Kanal 2, TV 3) concerning stopping of free-to-air distribution. 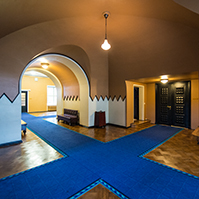 The Riigikogu concluded the first reading of the Bill on Amendments to § 82 of the Basic Schools and Upper Secondary Schools Act (240 SE), initiated by the Estonian Centre Party Faction. The Bill provides for the extension of the range of education workers whose remuneration and in-service training may be covered from the support to rural municipalities and cities allocated annually from the state budget. 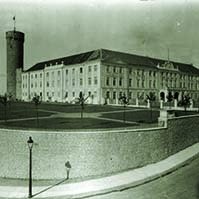 According to the initiator’s justification, this is necessary in order to enable the Estonian rural municipalities and cities to provide the services assigned to them by Acts, including also ensuring at least a special education teacher, a psychologist and a social pedagogy specialist for pupils.